If you have the chance to be a new Apple Watch owners hope that you download our application eyeFree Messenger ! With it you can type your messages directly on the watch screen as only 3 buttons are enough to write. Your turn : « Morse » ! Our latest application eyeFree Messenger is available on the App Store ! With it, send free messages to all your friends directly from your Apple Watch or iPhone. To write messages we integrated a keyboard based on a simplified version of Morse. Only three buttons are required to write : ideal for the Apple Watch small screen ! Go to the App Store ! Our new application Explorer GPS is available on the App Store ! Take your iPhone and your new Apple Watch and go download Explorer GPS ! Like strolling into town ? Like the discoveries and the unexpected ? Or maybe you want to throw your GPS every time he says, : « Turn around as soon as possible ! » ? No worries ! Explorer GPS is here. Simply enter your destination or place a marker on the map and an arrow will continuously indicate you which direction it is and how far, but you choose the route. Tomorrow find our two new applications eyeFree Messenger and Explorer GPS on the App Store ! The night will be short ! 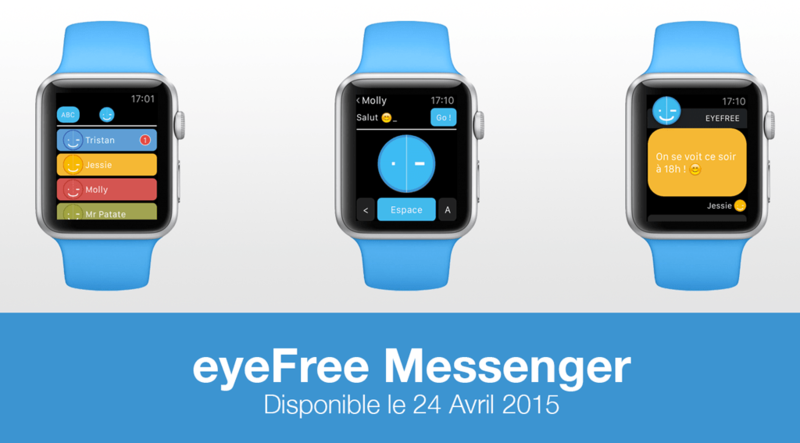 eyeFree Messenger available on April 24th 2015 ! D-2 ! 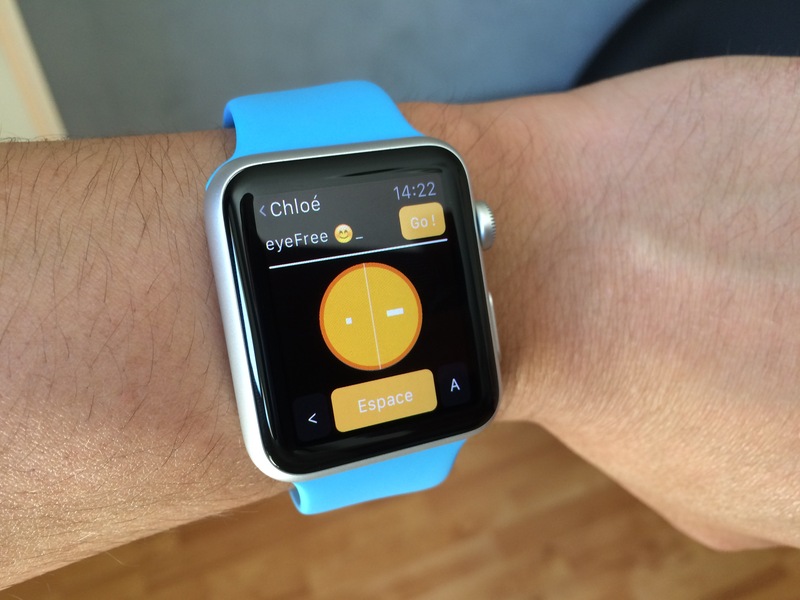 In two days find our new eyeFree Messenger application for Apple Watch and iPhone ! Send free messages to all your friends directly from your Apple Watch. Always reach your destination with Explorer GPS ! 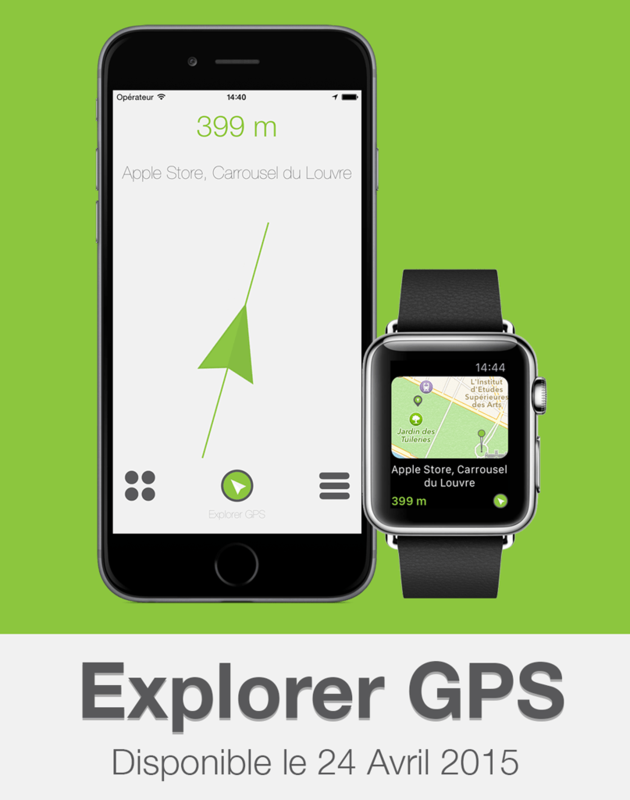 On April 24th 2015 take your new Apple Watch and visit the App Store to download our new app : Explorer GPS ! Explorer GPS allows you to see very quickly the direction of your destination. If you like to walk the streets our application is for you. Here, no need to follow a specific route, walking quietly and when you want like a quick glance at the direction to reach your destination. Just remember the date of April 24th 2015 !